These questions come with the break up. Are you be better off with her or without her? Why do I think of him when I found someone better? Should I call? Will he send me a text? Try as you may, the ex is on your mind? When you’ve finally decided it’s over, it’s never easy. But if you stay in an unhealthy relationship, it doesn’t get any better. It can only get worse. And it can drag on and on… and the longer it takes, the more complicated it is to get out. So is there an easy way? The topic for the month of November is Getting Over a Breaking Up. Breaking up is never easy, and that’s why it’s easy to deny that there’s a problem. It’s always easier to keep the status quo. You keep justifying that “no relationship is perfect” and “it’s really not that bad”. And if you’ve been thinking this, you may be right. Leaving a relationship is no easy decision and should not be taken lightly. But it's often necessary. I’ve seen many couples staying in a relationship or having affairs, when they’ve known from the start that the relationship was wrong in the first place. It was just too hard to get out – but then it’s even more complicated. If you’ve been thinking that your relationship is wrong, ask yourself these questions? Why did you choose this person in the first place? Or perhaps you never did. Is it really worth continuing this relationship or are you giving excuses to yourself (staying for family, friends, or avoiding loneliness). So you’ve come to the conclusion that it’s ‘now or never’. It’s much easier not to face someone when you’re about to say something hurtful them. But unless you are thousands of miles away, always break up in person - no phone calls, no e-mail, text or MSM. And don’t just disappear. Closure is not only for the ‘soon-to be ex’ it’s for you as well. Not easy I know, but just do it for both of you. Words like ‘we should talk’, ‘we should spend less time together’, or’ let’s take a break’. - should be said after plenty of consideration. Never, never say them in the heat of the moment. 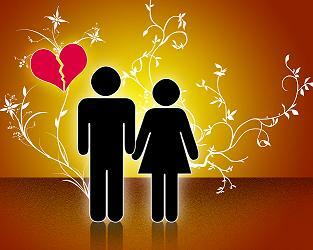 Breaking up is very emotional and should not be taken lightly. Discuss your feelings calmly with your partner. Explain your decision, and why you’ve finally decided the relationship must end. You’ll get all kinds of emotions. When someone’s feelings are hurt, they’re hurt. And no matter what you say or do, there will be negative reactions – you’ve hurt them and they may want to get you back or get you back. This is the difficult part of the process and it’s better to be prepared. When you’re hurt, you’re hurt. Tears should be expected and when someone’s hurting they should be comforted. Comfort the other person but remember, but remember, no matter how many tears someone sheds, there’s no reason to turn back. Once you’ve made your decision, don’t be manipulated. Stay strong. Anger is normal. It’s a way of keeping your self esteem. However, use your intuition. When you hear “You’ll regret this”, “You’ll be sorry for what you’ve done to me” and similar threats. Use your intuition. If you’re threatened, don’t ignore it. Take precautions and move on. 1)	Don’t call the ex, text them, or keep contact with them through friends, family members etc. Set yourself a ‘No Contact Rule’ and stick to it. 2) Talk to a close friend – and don’t hold anything back. Get out your pain and anger so that you can put closure on the past. 3) Cry. Breaking up is loss, so cry. Crying is not a weakness. Just don’t use your tears to manipulate your ex. to come back. When the pain subsides you can allow yourself move on. 4)	Get rid of their stuff. Everything! No memorabilia either. Hold on to nothing – not even their toothbrush. Pack everything away. Remember ‘out of sight, out of mind’. Return, sell, or give it all away eventually - when you’re stronger. 5)	Focus on the bad. Of course things weren’t always bad, but focusing on the good things in the relationship will only hurt more. Blaming yourself, wishing things were different and focusing on the happy times will only make you more miserable. 6)	Remind yourself of the cruel or mean things that your ex did or said to you. This will motivate you to move on. 7)	Take time to reflect on the situation and don’t jump into another relationship to make him/her be jealous. 8)	Blaming yourself, wishing things were different and focusing on the happy times will only make you more miserable. 9)	Don’t play psychic. Telling yourself, ‘ I’ll never find someone. I’ll always be alone. You don’t have a crystal ball. Why predict? You don’t know. Breaking up is a loss and very painful. Give yourself time to adjust and re-create your life. Use this time to learn about yourself. Do the things that you’ve always wanted to do, but haven’t been doing when you were a couple. To answer your questions, we still have some glitches to iron out, but Recovery Coaching, Personal Coaching and Consultation will be available by phone on untwist-your-thinking.com. You’ll be able to purchase 1 or more hours and use the time in smaller increments – 15, 20, 30 minutes – until your time is used up. A great way to get help in the most cost effective fashion! I’ll keep you up to date.